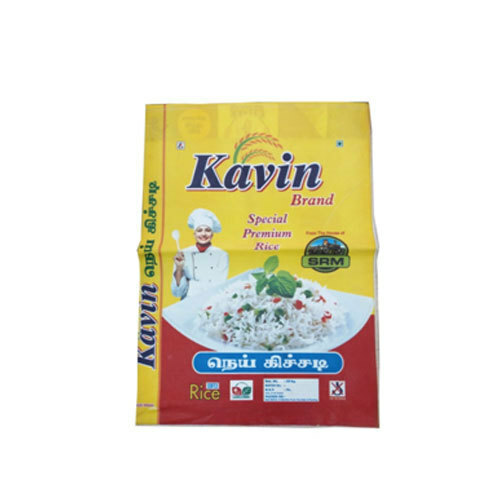 We have established ourselves as coveted organization, involved in offering 25Kg Rice Bag. The company originated from very well known Non woven manufacturing company M/s. AmitPackaging located in Sivakasi having well equipped imported machineries with complete in-house activities production process under one roof. Our all goods are made by latest technology which ensures fine finishing, allure designs, easy to carry, attractive look, light weight and many other qualities. These bags are made-up of PP Non woven fabrics and it was 100% Eco green recyclable, reusable, non-toxic, lead free and environment friendly materials. Firm have good and sound machines and effective personnel who put their best effort to manufacture products of high quality and in large amount as per client's requirement.